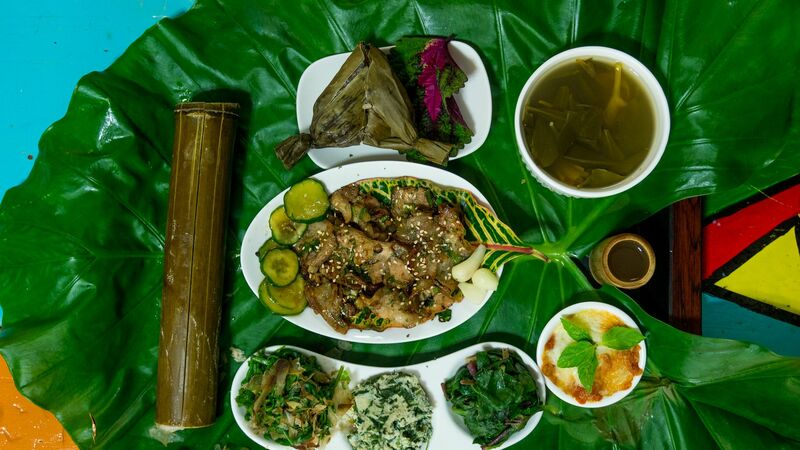 Taiwan has a big culinary impact for an island 1/11th the size of California. The #1 reason the food here is so good? The ingredients. It’s why some of the world’s best chefs are lured here to cook. Chefs like Richie Lin, of 1-star Michelin MUME, who’s from Hong Kong and has trained in Sydney and Copenhagen, chose to open up here because he wanted to work with the ingredients. The fresh air, water and breathtaking landscapes translate to extraordinary flavors. For one, there's seafood caught daily in the surrounding waters. And of course, the cheese (our favorite from FORMOZZA/DIDA), mullet roe (Taiwan’s answer to Italian bottarga) and even bean-to-bar chocolate (Fu Wan). Taiwan, while tiny in size, is clearly rich in resources. A mainstay dessert at MUME combines earthy, sweet dried longan fruit, native to the island, with Taiwanese bean-to-bar Fu Wan chocolate made by Richie’s friend Warren Hsu. If you get your hands on his chocolate bars, you might encounter chocolate concoctions that incorporate the bounty of the sea, like chocolate studded with bits of dried pink shrimp, for a sweet, savory and umami flavor combination—surprising, but it works. Indeed, the seafood here is so good, accessibly-priced and diverse, that you can’t help but incorporate it in everything. 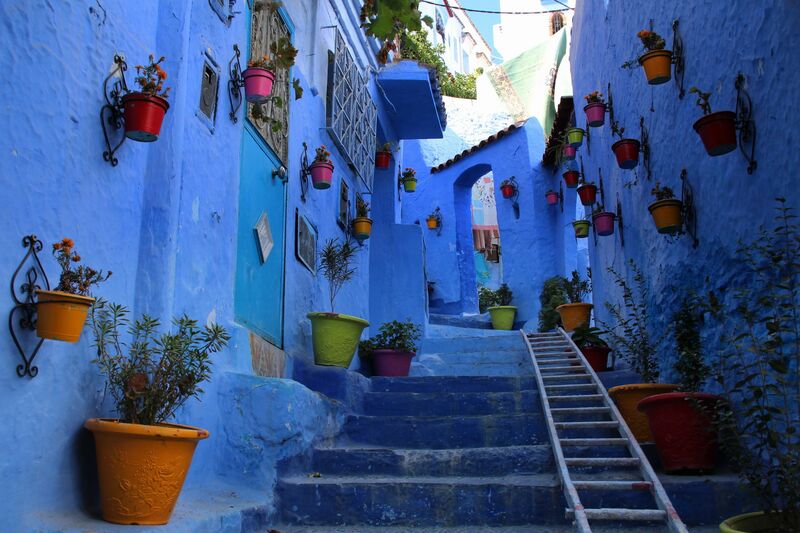 The many microclimates featured mean biodiversity at the bustling markets. We’re talking varieties of vegetables, fruit and shellfish you’ve never set eyes on before. ...that’s not to mention wine, craft beer and award-winning whisky made right here. While farm-to-table for the Taiwanese has long been a way of life, these days, they’re taking luxury ingredients to the next level. At Yu Zhi Xiang (魚之鄉 literally “home of the fish”) caviar farm near Taichung city, caviar is produced at this hidden gem tucked in a valley. They use the traditional Iranian way: salt only. Chefs, locals and visitors alike are surprised to learn that Taiwan produces its own caviar. Upon tasting it, they become believers. Like with Weightstone Winery, Yu Zhi Xiang is a business that was started by the father but has now been taken over by the daughters. The sturgeon thrive in pure water flowing from the mountains. There’s a precise three-day window to harvest caviar at the peak, and the larger the fish, the better the caviar. It’s also nose-to-tail with nearly zero waste—the sturgeon make for excellent sashimi, which gets served up in the restaurant on the sturgeon farm. You can get the sturgeon not just in sashimi form, but also smoked, steamed, in congee and in soup alongside other specialty dishes incorporating local produce. 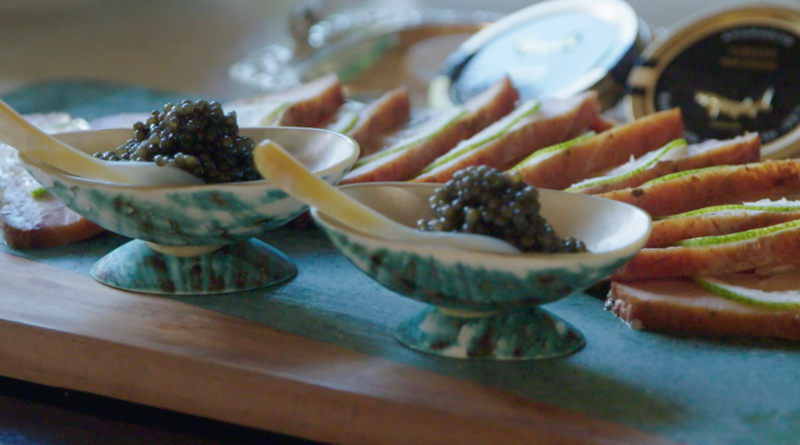 All of this, of course, kicks off with flights of caviar to taste. The globally award-winning, yet just 10-year-old Kavalan whisky distillery launched their own gin infused with local Taiwanese botanicals just last year. 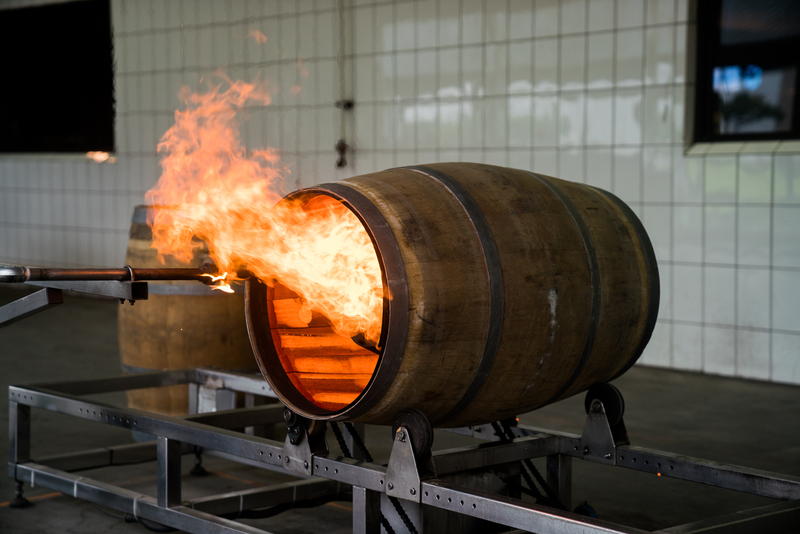 They first earned renown for innovative whiskies made in barrels that have undergone their signature “re-charring” method, where the insides of the vessels are fired to the exact level of toastiness, imparting specific “secondary” characteristics, like fruity vanilla, nut and toffee. The hot climate means that Kavalan must make good whisky fast, as the whisky “breathes” in the barrel with great speed due to evaporation—so there’s no time to cover up mistakes. The pure mountain water makes for a world-class base. Indeed, in this pristine countryside of Yilan, you’ve also got Jim and Dad’s brewery, right across the street from Kavalan, making use of that same mountain spring water. They make a funky range of craft brews beloved by beer nerds, including their White Ale, a slightly acidic wheat beer, strong yet still refreshing. Created in 2004 by a father and son pair with the vision of creating a beverage that’d be as complex and tasty as the food on this island, Sunmai is one of Taiwan’s first craft brewers. They’re known for their Longan Honey Lager, made from the honey produced by bees that feed off the plant of the native longan fruit. And now, for Musann Blanc: a Taiwanese sparkling wine made in the méthode champenoise. It was second-generation agricultural scientist Ben Yang who created Taiwan’s very first fine wine. In December 2009, Taiwan’s Ministry of Agriculture named a new white grape variety called Taichung Number Three and presented it to Yang. This “Musann” was essentially an improved variety created by local breeders: a mix of moscato and an indigenous variety. By the next spring, on a hunch that this grape variety was something special, Yang planted half a hectare of the grape. While he knew little about winemaking, he knew that Taiwan’s distinctive soil and climate has been able to grow a wide variety of fruit and produce from different soil and climates from around the world, resulting in unique varieties—and/or expressions of those varieties. Now, his daughter Vivian Yan heads up operations at Weightstone Winery, continuing her father’s legacy. They’re just getting started.